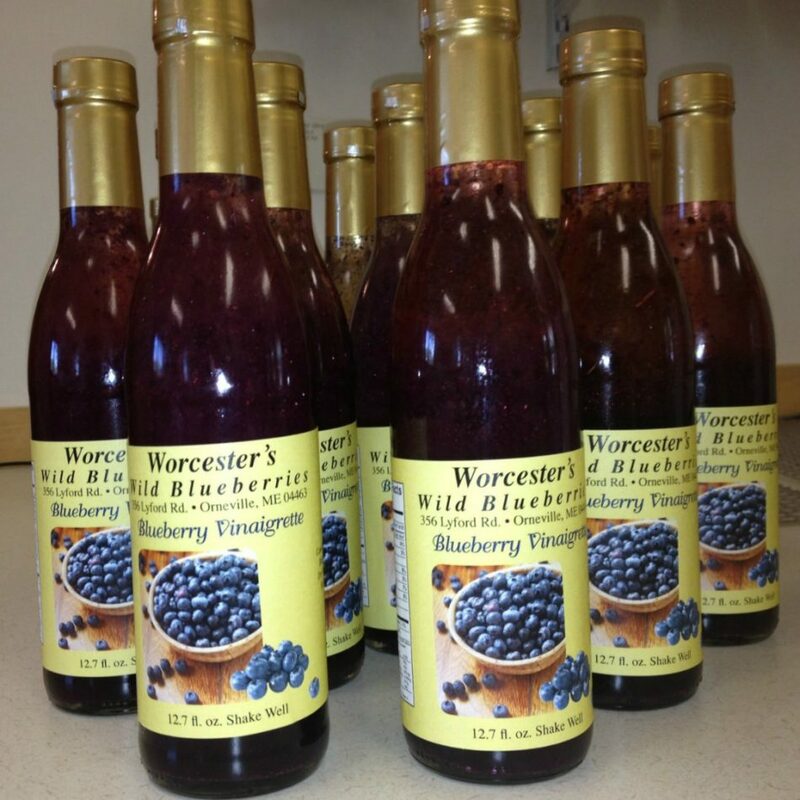 Worcester’s Wild Blueberries in Orneville Twp.is the home of Lee & Everett and their golden retriever puppy Mister Blue. We have an adult daughter who lives out of state. Our 147 acre farm has about 20 acres of wild low bush blueberries while the rest is forest land. We also own additional blueberry and forest land in Orneville at a second location and lease land in Barnard and Sebec. 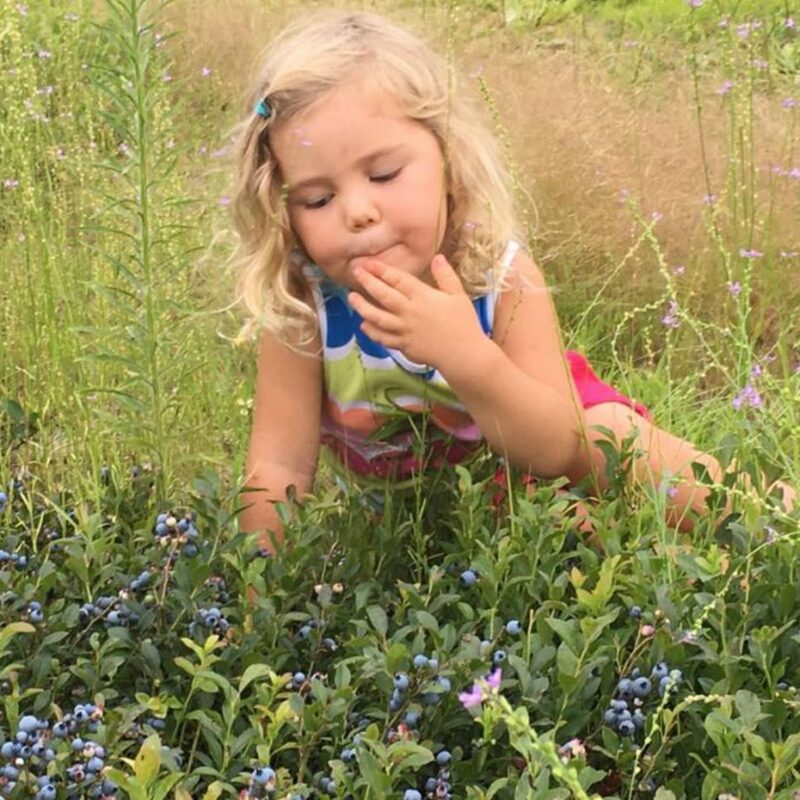 We harvest about 35 acres of blueberries every summer. There is a self-serve farm stand at the end of our driveway from which our friends and neighbors both near & far are able to buy blueberries. Near the stand is a small Concord grape arbor from which we make a small quantity of grape jelly. The original grape vines came from an old farm and took 5 years before they produced any grapes. Forty years ago we sold all our berries to the Downeast processing plants. 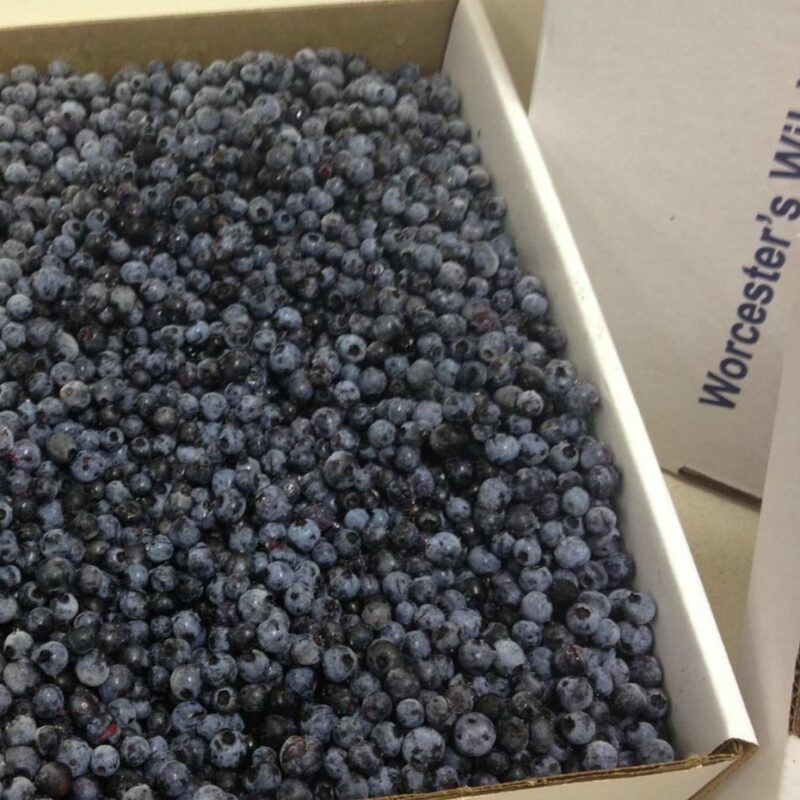 Now, and over time, we produce all our blueberries for a few stores, farmers markets and our stand. 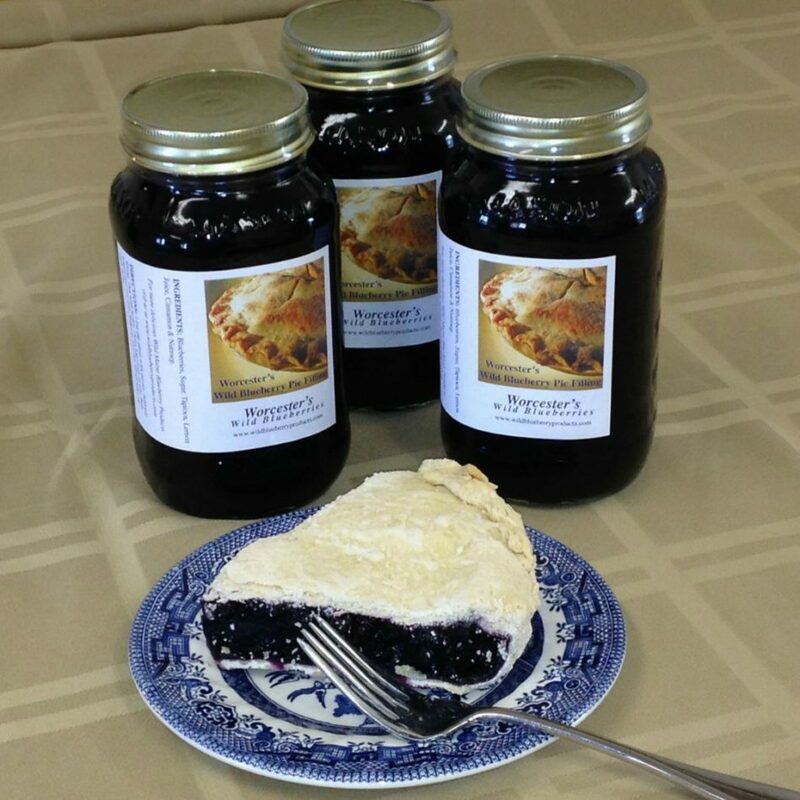 We have developed recipes from our value added commercial kitchen which we sell at retail stores and craft fairs. More recently we have created sampler sizes of our products for wedding favors. It doesn’t seem to matter what time of year it is there is always something blueberry going on.